Location: Discovery Centre, MacOdrum Library, Carleton University. 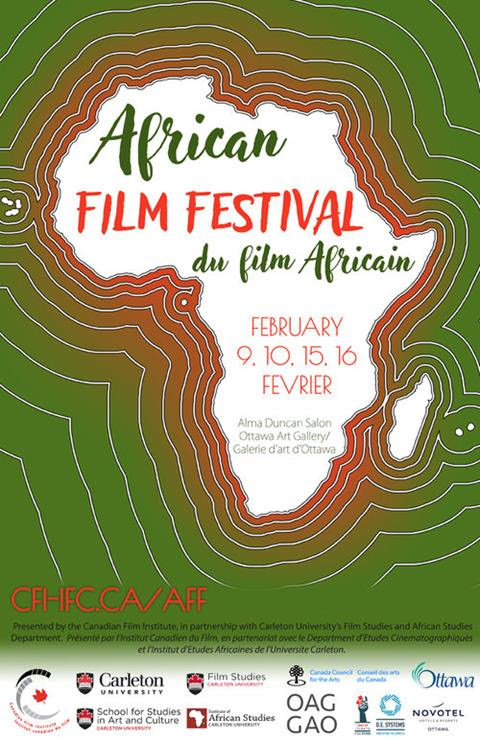 The Canadian Film Institute, CFI is proud and excited to present its 4th African Film Festival, an inspiring five-film festival of Ottawa premieres of contemporary films from the five regions of Africa. Presented in collaboration with Carleton University’s School For Studies in Art and Culture (Film Studies) and African Studies Program. When: Friday, February 8, 2019 | 8:30 a.m. In Plato’s Symposium, the wise woman Diotima reveals to Socrates that “Daimons” (later Latinized to “Daemons”) are the intermediaries between the gods and humans, mediums for divination, prophecy, and other moments of divine possession. “Love” reveals immortal beauty to mortals in the Symposium, while Socrates’ “daimonion” whispers prophetic warnings into his ear in Plato’s Apology. Even happiness had a touch of the divine for the ancient Greeks; their word for happiness was “Eudaimonia.” As monotheism took hold in Europe, however, the Latin “Daemon” became the evil “Demon” of the Christian era, identified with the devils and fiends that meddle with the good work of angels. Thus, contact with these spirits became a sinful act, a change with real material consequences for peoples accused of witchcraft or spell-casting. The Dalhousie Association of Graduate Students in English (DAGSE) invites submissions of paper presentations for “Devils and Daemons: An Interdisciplinary Graduate Conference.” Proposals from students at all levels and in all areas of graduate study are welcome. We encourage proposals from marginalized voices and prospective presenters are welcome to self-identify in their proposals. 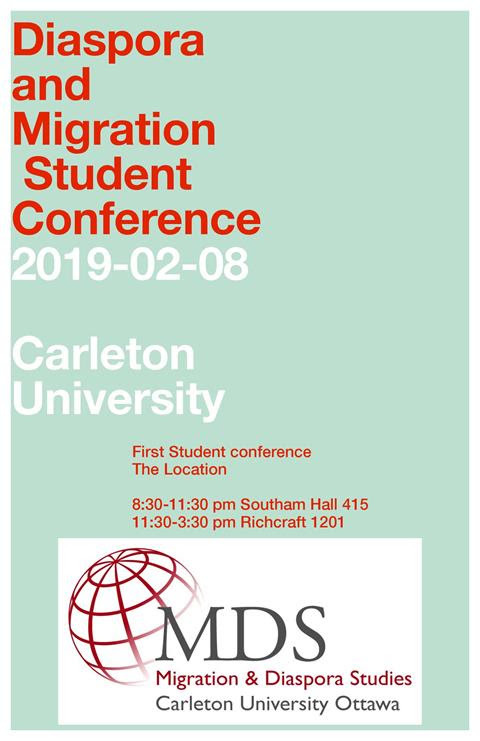 This three-day conference will be held August 8th to 10th, 2019 at Dalhousie University in Halifax, Nova Scotia. Childcare will be provided upon request. Submissions: Please submit a 250-word abstract plus a 50-word biographical statement that includes your name, current level of graduate study, affiliated university, and email address to dagse@dal.ca. Panel submissions are also welcome. Please include the words “Devils and Daemons Conference Abstract” in the subject line. 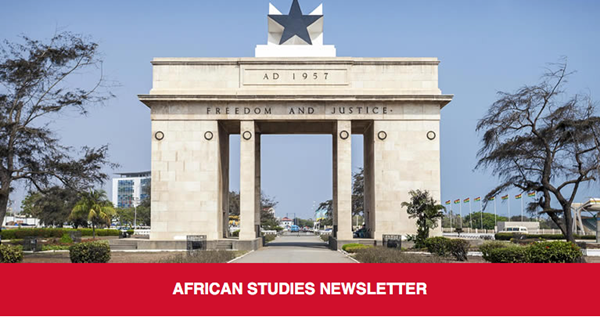 Deadline: 31 March 2019. Accepted presenters will receive notification in mid-May. The African continent hosts over a third of the world’s forcibly displaced persons are found in Africa, including 6.3 million refugees and 14.5 million internally displaced persons (IDPs). The continent is also home to 509,900 asylum seekers and 712,000 stateless persons. In recognition of these challenges and the prevailing need to recognize links between displacement and peace and security and its development dimension, the African Union (AU) Assembly at its 31st Ordinary Session held in Nouakchott, Mauritania on 1-2 July 2018 adopted a decision declaring 2019 as the year of “Refugees, Returnees and Internally Displaced Persons: Towards Durable Solutions to Forced Displacement in Africa”. Contributions are being sought from all AU organs, Regional Economic Communities, Member States, academia, think tanks, civil society organizations, women’s organizations and the wider public. The editors reserve the right to reject papers they deem to be inconsistent with the guidelines outlined in this call for papers. • Languages: Articles for publication may be submitted in any of the AU working languages i.e. English, French, Portuguese and Arabic. • Word count: Not more than 2000 words per article. • Illustrations: Photographs and other illustrations that enhance the article are welcome, although these must be original to the author and/or under a creative commons license. • All submissions must contain the full name and contact of the sender, his/her organization and job title (if applicable). Join a bank-note content specialist for a fascinating hour-long presentation, a behind-the-scenes look at the visual and thematic development of the new $10 bank note featuring Viola Desmond. Visitors will learn more about this remarkable woman and how this bank note can help bring her actions into the present to inspire the future. A note exchange will follow where visitors can trade in their current money for a brand new $10 bill. 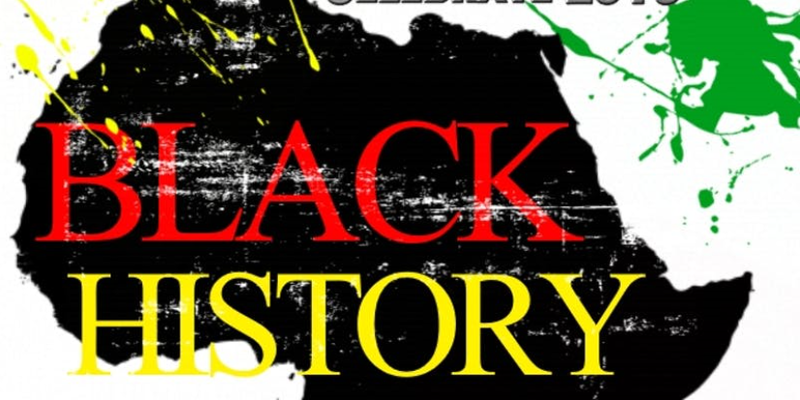 On behalf of Carleton University’s Black History Month Committee, we would like to cordially invite you to our upcoming Black History Month event, Still Standing: 400 Years of Black Excellence in Canada. Come and join us for an evening showcasing Canadian Black Excellence through performances, guest speakers and a panel discussion. Doors will open at 4:30 pm. Dinner will be served from 5:00 pm to 6:00 pm and the program will begin at 6:00 pm. See more information and register here. The African Day on the Hill Planning Committee in coordination with the Black community leaders are bringing together the larger black community for 2019 Black History Month Celebration Gala. This event will celebrate African Heritage, Culture, Food, Music and Entertainment, African Fashion Show, Story Telling and Dancing. This year event will highlight the UN International Decade for People of African Descent with our focus on the past, present and future. Venue: Sir John A Macdonald Building, 144 Wellington Street Directly facing the Parliament Hill. Photo Identification is required for security to enter the Gala Event Hall. Do You Know Where the Gold in Your Ring Comes From? The Shadow of Gold is a global investigation of the ultimate talisman of wealth, beauty and power. Filmed in China, Peru, Canada, the U.S., London, Dubai, and the Democratic Republic of Congo, The Shadow of Gold reveals the impact of gold mining and the gold trade on our economy, environment and conflicts. Watch to discover what our lust for gold costs. And who pays the price. An international Canada-France co-production by award-winning filmmakers Robert Lang (Canada), Denis Delestrac (France) and Sally Blake (France), The Shadow of Gold pulls back the curtain on the world’s most coveted heavy metal. As the global economy undergoes rapid and profound change, the gold industry continues to grow. Over the past 15 years, we have mined more gold than ever before. Filmed in Canada (Mount Polley, BC), the U.S., London, Dubai, China, Peru and the Democratic Republic of Congo this incisive investigation examines the trade of this precious metal from raw material to market while exposing its consequences and impact. With political, economic, and ecological implications, how is the thriving industry changing our lives and the world around us—and at what price? The Shadow of Gold reveals positive advancements in the industry and engages with engineers, scientists, jewellers, and responsibly-sourced advocates who work with miners to tackle gold’s worst environmental and social problems. This event, presented in association with Black History Ottawa, will explore the military heritage of African Canadians during the First World War and how the voices of minorities are heard in the telling of Canada’s history.